New project aims to provide policymakers and communities with information to help adapt to climate change and reduce carbon emissions. Congo Basin - Climate change is hitting the Congo Basin region hard and while communities there and in other parts of Africa struggle to adapt to rising temperatures and changing rainfall patterns, scientists are trying to help — using radio to spread the word. For those living in urban areas, getting information is easy. But for forest dwellers, who are the most likely to be affected, it is more difficult because they are isolated by poor road infrastructure and a lack of such basic amenities as electricity, telephones and Internet access, said Anne-Marie Tiani, a senior scientist at the Center for International Forestry Research and coordinator of the COBAM project (Climate Change and Forests in the Congo Basin: Synergies between adaptation and mitigation). “Radio remains the most dominant, affordable and accessible mass medium in Africa,” added her colleague, Denis Sonwa, explaining why the team decided it needed to find new ways to share research findings, rather than relying on text. The radio program builds on CIFOR’s previous research activities on livelihoods and governance. The COBAM project covers Cameroon, Central African Republic, Equatorial Guinea, Gabon, Democratic Republic of Congo and Republic of Congo, aiming to provide policymakers and local communities with information to help implement policies and projects for adaptation to climate change and reduction of carbon emissions in the forests. It covers livelihood activities, local institutions and trends in forest degradation and deforestation. It also analyzes with local communities the impacts of potential REDD activities on livelihoods and associated risks, opportunities and needed institutional changes. The program “Au rythme des saisons”, or “Following Changing seasons”, broadcasts monthly on Cameroon Radio Television (CRTV) to both urban and rural audiences. Neighboring countries of the Central Africa such as the Democratic Republic of Congo, and Central African Republic can also listen to the program online. The first six editions are devoted to educating listeners about climate change, their own vulnerabilities, various aspects of adaptation and mitigation, and details about U.N.-backed projects aimed at reducing emissions from deforestation and forest degradation and enhancing carbon stocks (REDD+). The last six editions will describe the findings of the COBAM research in the Congo Basin — from developing local adaptation strategies with participatory action research to analyzing vulnerability of selected economic sectors at national and regional scales — in language that is simple to understand. The hope is that eventually, the radio program will be extended to other countries of the Congo Basin region. And there are already many demands from radio broadcasting managers from DRC, Central African Republic and Rwanda. So far, feedback from listeners has been positive. “We have received calls from listeners both in rural and urban areas of Cameroon wanting to know more about climate change and how it affects them, particularly their livelihoods,” Tiani said. Since we started rebroadcasting, farmers have been coming to our studio for more information on how to deal with unpredictable seasons and have better harvests. Most of the callers are from urban areas. The listeners in most rural areas visit their community radio stations or meet journalists on their way to talk about the radio program. “We need this kind of radio programme in our country as we begin to see the effects of climate change,” said Leon Maviga, a community radio journalist in Tshela, 275 km south-east of Kinshasa, capital of the Democratic Republic of Congo. Because climate change demands adjustments in behaviour at the individual, institutional and community level, these kinds of conversations are crucial. “We could be onto something very exciting here — providing information to stakeholders all over the Congo Basin region irrespective of their location,” Tiani said. 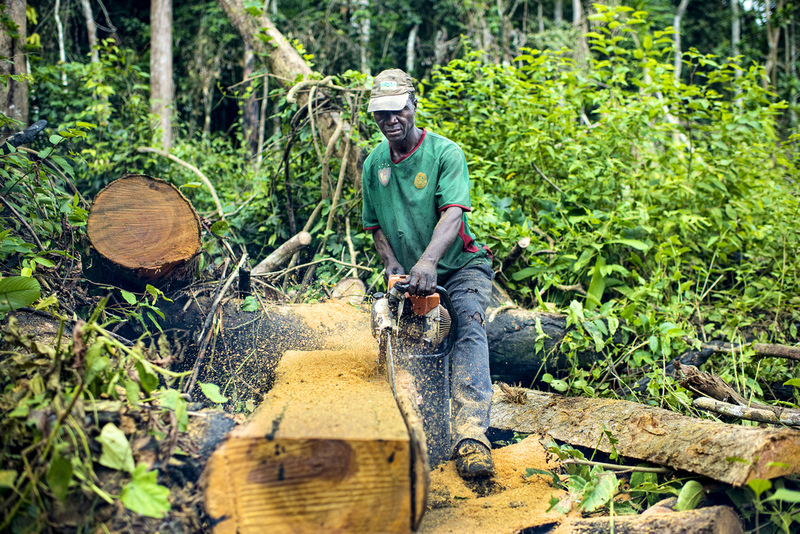 This research is carried out as part of the CGIAR Research Program on Forests, Trees and Agroforestry and was supported by the African Development Bank, the Economic Community of Central African States and the Congo Basin Ecosystem Conservation Support programme.